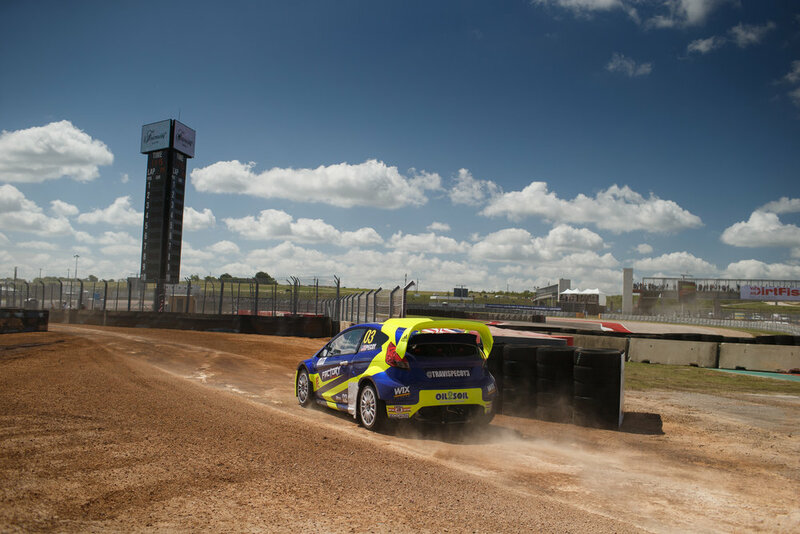 (November 21) – Americas Rallycross (ARX) was joined from the second event on the calendar at the Circuit of The Americas in Austin, Texas by the ARX2 support category for single-make four-wheel drive space frame vehicles. Premier American motorsports team, Dreyer and Reinbold Racing has a rich tradition of fielding Indy cars in the Indianapolis 500 alongside a powerhouse rallycross program. 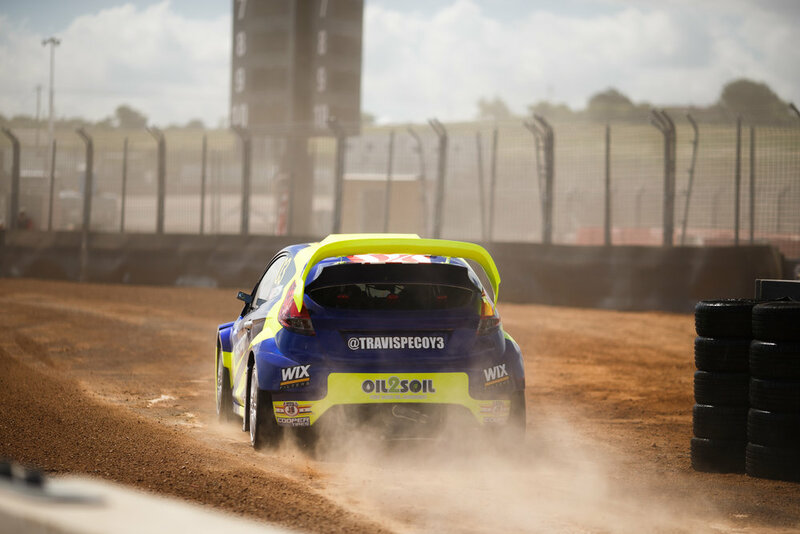 After finishing 11th in the 2018 Indianapolis 500, the Indianapolis-based team quickly re-focused their efforts back to rallycross in time for the debut of ARX2 in Austin. 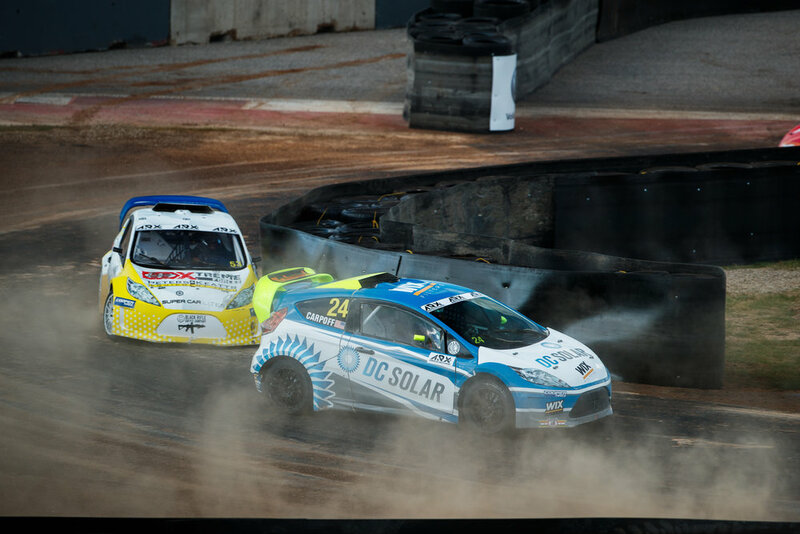 They started the first round of the support series in July with three drivers, and after qualifying second in the Intermediate Classification, Christian Brooks finished a chaotic final second to score the team’s first ARX podium. His teammate, Travis PeCoy, had shown promising pace in Free Practice but a blown motor in Q1 in the one-day event put him out of contention and he only finished one race all weekend. The less experienced Matt Carpoff made his debut in the series driving the ARX2 machine and finished round one in eighth. 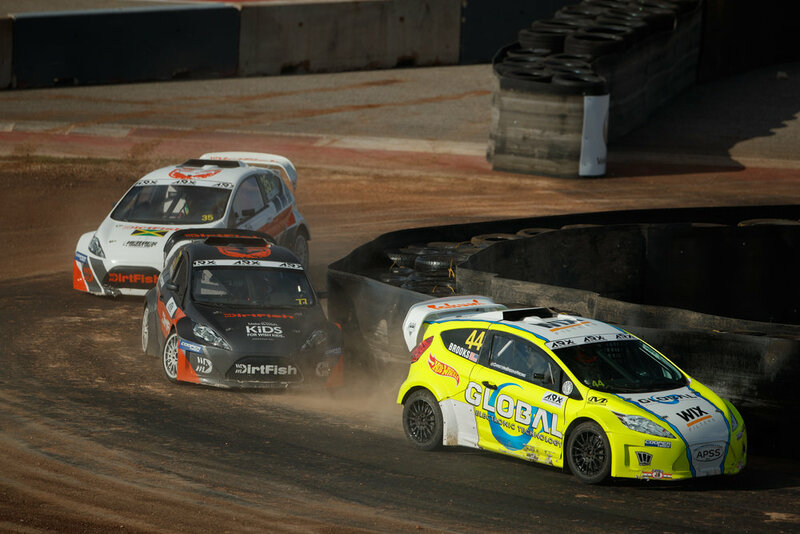 For the next ARX weekend at the Grand Prix de Trois-Rivieres in Canada, the ARX2 drivers competed in a double-header, with one round on each day. 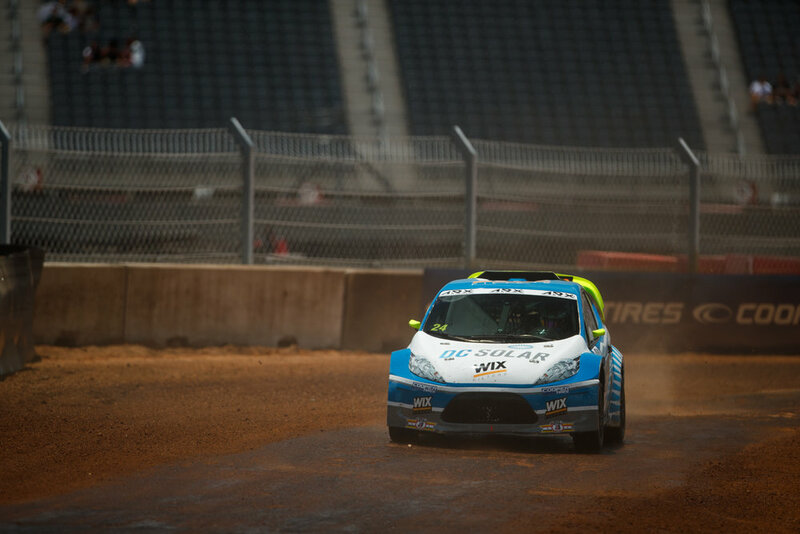 DRR was joined by former rallycross champion and Supercar racer Cabot Bigham, but Bigham didn’t manage the dream return to the sport he was hoping for and finished just off the podium in the final. Brooks was again right at the front, second quickest two times in qualifying he won semifinal one and climbed to second in the final before taking his joker on the final lap to finish as runner-up, and was joined on the podium by team mate PeCoy, who set the quickest time of all in Q3. It was an impressive display form the DRR team, finishing the event second, third and fourth. On Sunday in Canada the DRR drivers showed their class. PeCoy was quickest in Q1 ahead of Brooks, but as PeCoy was forced out of qualifying in Q2 by a blown motor, Brooks was quickest in Q2 and Q3 to take TQ (Top Qualifier) in the Intermediate Classification and win semifinal one to claim the pole for the final. He held the lead during the final but in the last turns of lap five he was passed by Conner Martell and finished second for the third round in a row. Carpoff improved his placings with every run in his rookie year of learning and was fourth in semifinal one, but Bigham joined PeCoy on the sidelines after being fourth quickest in Q1. 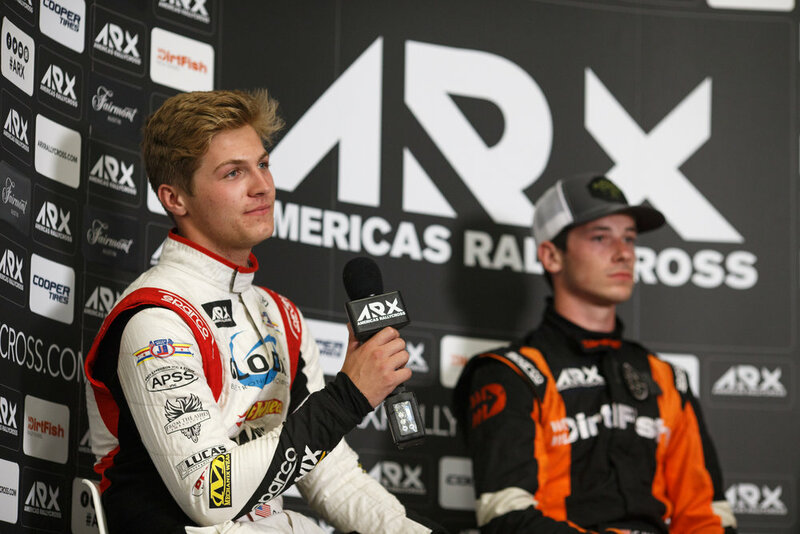 The final weekend of the season took place at COTA in September for another ARX2 double-header and Brooks entered the last pair of races just seven points off the lead in the championship. In a closely contested first event, Bigham was the highest of the DRR drivers in qualifying, in sixth. 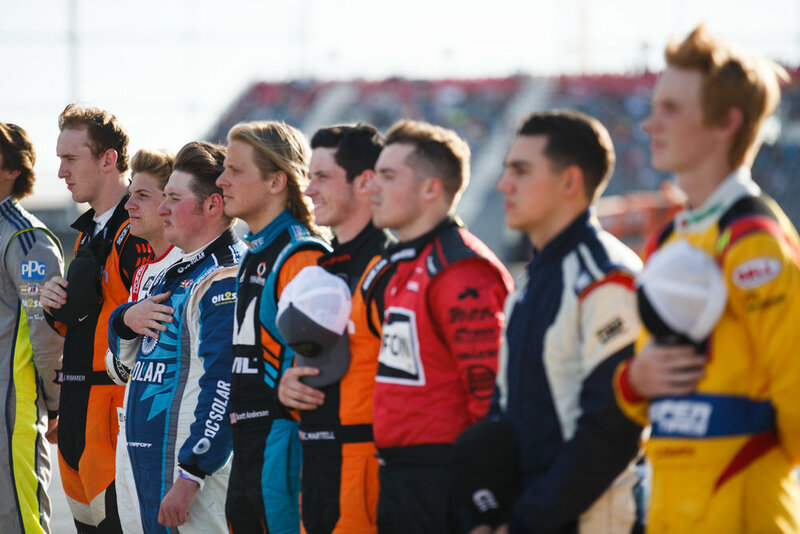 He finished second in semifinal two but in rain-hit conditions, he finished sixth in the final, one place behind team mate Brooks – the title-contender celebrating his 18th birthday. Carpoff improved his times in every session and qualified eighth, one place ahead of PeCoy who had another difficult event and retired in Q2. In the last race day of the season, Brooks won semifinal two and was in contention for victory in the final, but when the joker laps played out he finished third, his fourth podium of the season. Bigham set a best time of third in qualifying, in Q2, and finished the final fourth. PeCoy had a difficult race, a spin in semifinal two ended his season, as Carpoff again consistently improved his times in qualifying and was fourth in semifinal one. Brooks finished the season second in the points, Carpoff was seventh, PeCoy eighth and Bigham 10th.